Unfortunately it has again been a while since my last post, but let's see if we can ramp it up again in July. Obviously everything's gonna be about Pitti (which I will miss once again) next week, so there's gonna be a lot of beards and white chinos all over the Internet. 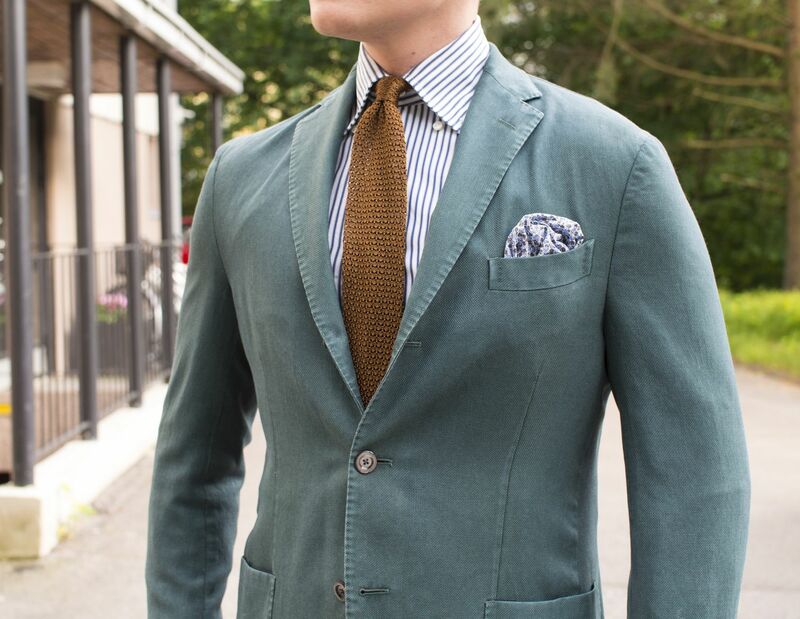 Before that, I'll pitch in with this green sport coat look. The jacket is from Boglioli and the K-Jacket line (the most lightweight wool ever), the shirt is from SuitSupply, tie from Eredi Chiani, pocket square from Berg & Berg, belt from Alden, trousers bespoke and of own design and loafers from Septieme Largeur. I truly love this jacket and always feel it doesn't get enough wear. The green color looks cool as hell, but clearly isn't as versatile as most blue colors, for example. 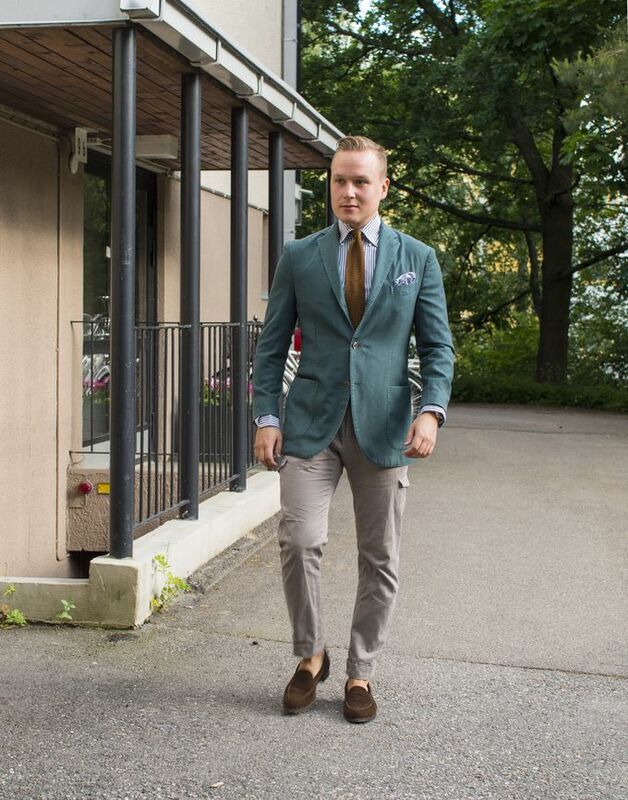 Looks best when paired up with some brown accessories in my opinion. 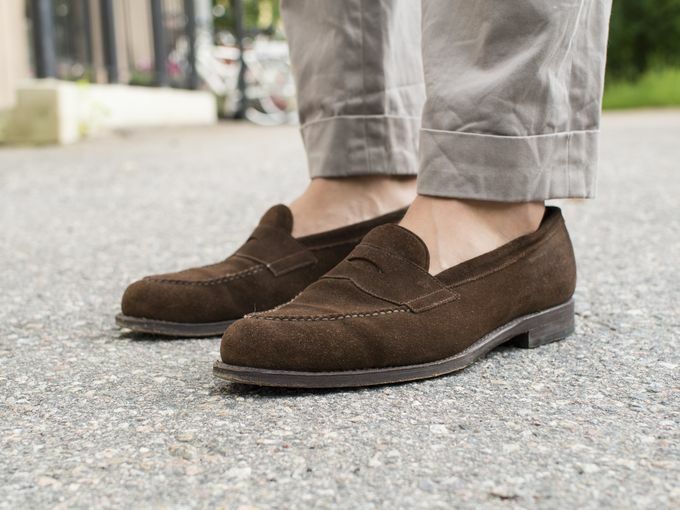 And my favorite loafers, looking great.